Iran’s Revolutionary Guards have threatened US forces “around the world” after the Trump Administration designated the Guards as a “foreign terrorist organization”. CENTCOM covers the Middle East, including the Persian Gulf; eastern Africa; and central Asia. The cleric then turned against Israel. 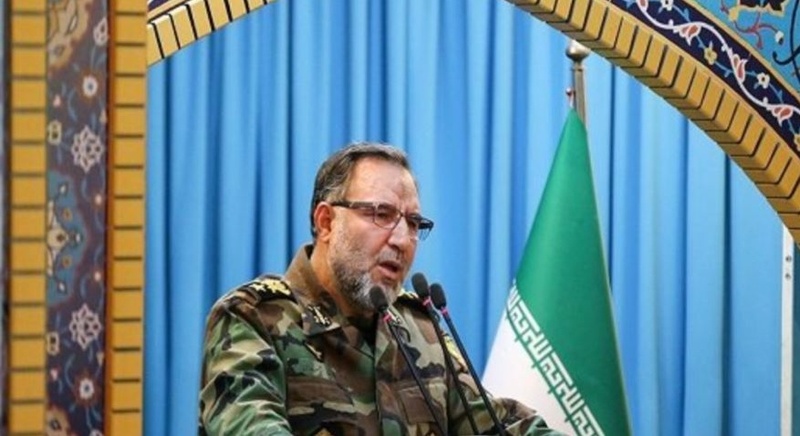 He said that if the Supreme Leader commanded, “the IRGC [Guards] will flatten Tel Aviv”. Heydari also aimed at the Israelis: “At the entrance of every ground forces’ base we have a sign counting down the days to Israel’s demise”. US officials said the designation authorizes economic and travel sanctions on 11 million members of the IRGC and affiliated units. The Supreme Leader denounced the “trickery, deceit, and maliciousness” of the Trump Administration and swore that American “plots will boomerang against them”. The Supreme National Security Council and Parliament each designated US forces as “terrorist”. On Tuesday, President Hassan Rouhani threatened to break the 2015 nuclear agreement with the 5+1 Powers (US, UK, France, Germany, China, and Russia), stepping up production of nuclear centrifuges. Trump withdrew the US from the nuclear deal last May, and the Americans imposed comprehensive sanctions in November.